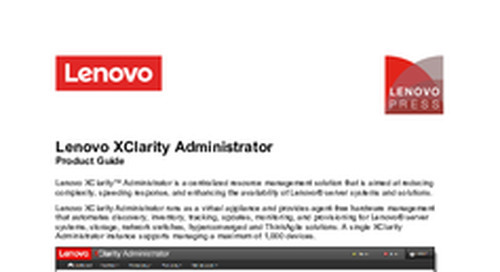 This Product Guide describes the features, functions, and customer benefits of Lenovo XClarity Adminstrator. 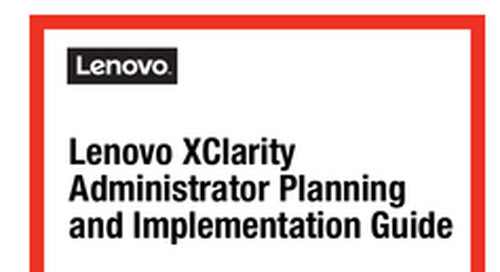 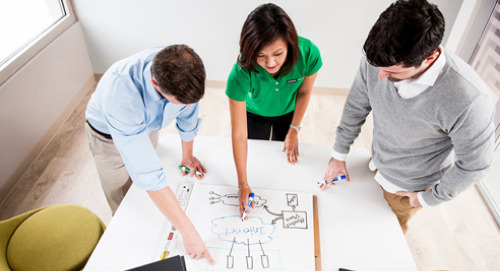 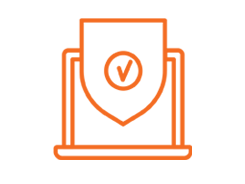 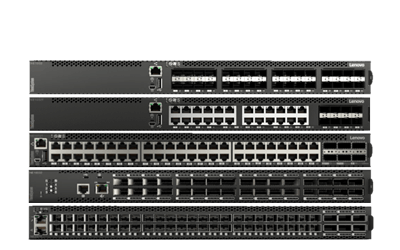 Provide instructions and recommendations on how to plan for and install Lenovo XClarity Administrator and the best ways to use it to manage supported end-point devices. 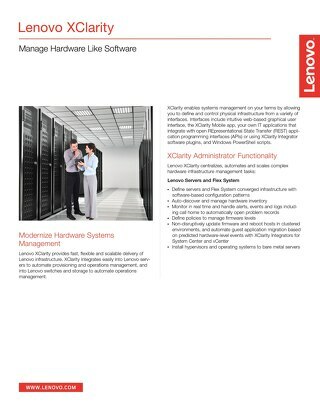 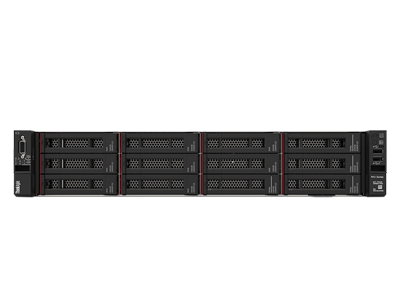 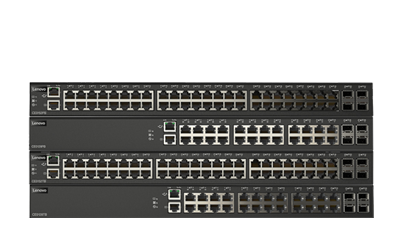 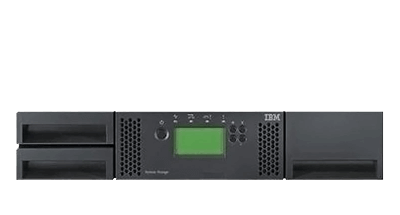 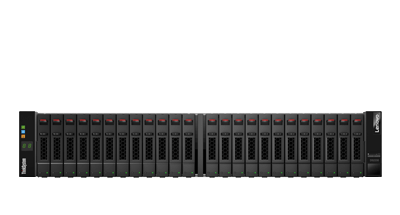 Principled Technologies compared Lenovo XClarity Administrator to HP OneView to see which server management tool was faster and simpler to use. 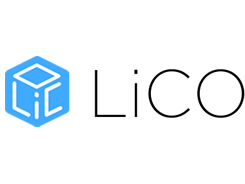 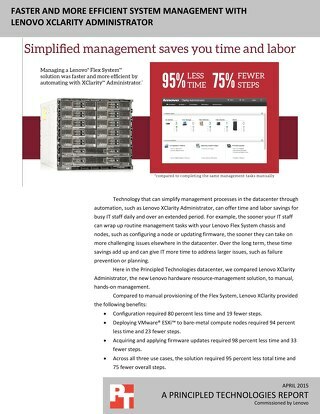 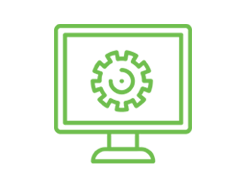 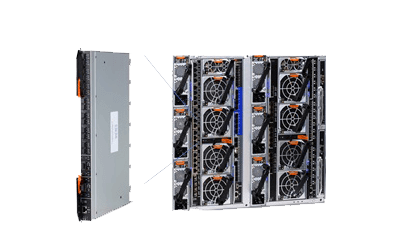 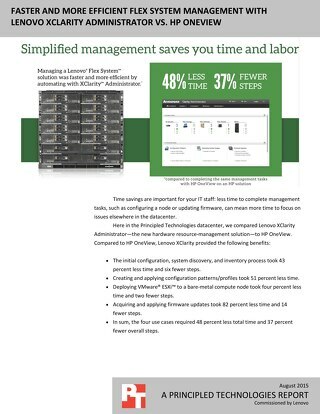 With better ease of use than UCS Manager and the opportunity to save time and reduce errors, XClarity Administrator and Flex System can be a simpler and more effective combination for your datacenter. 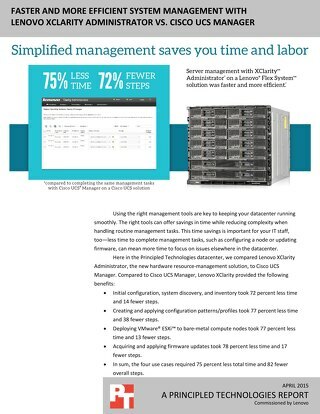 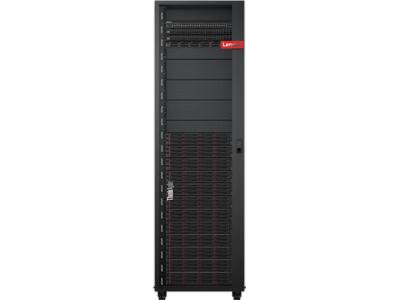 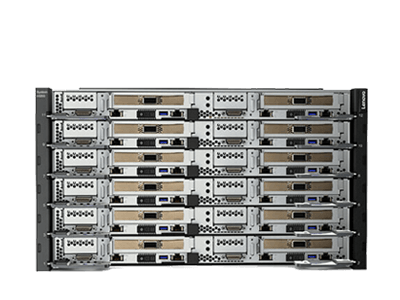 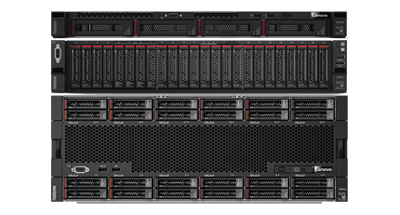 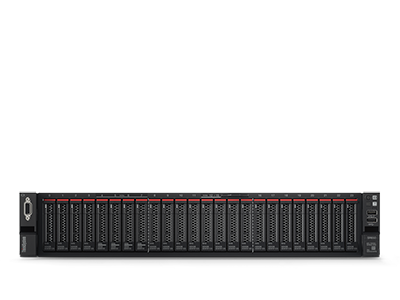 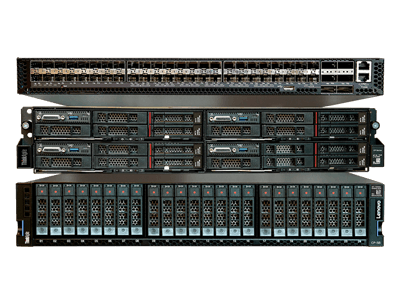 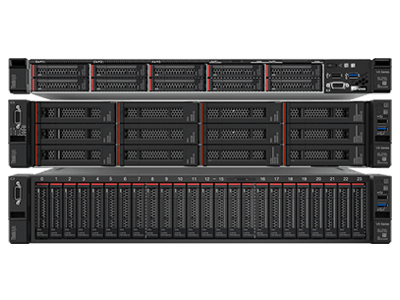 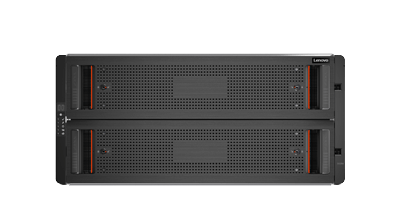 Automating processes for your Lenovo Flex System chassis and nodes can mean less required time and labor from your administrators. 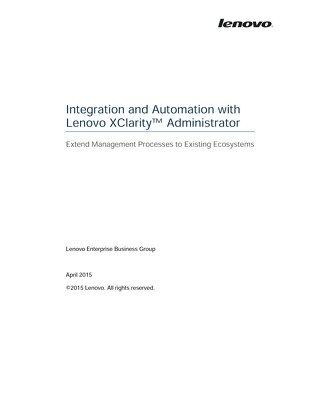 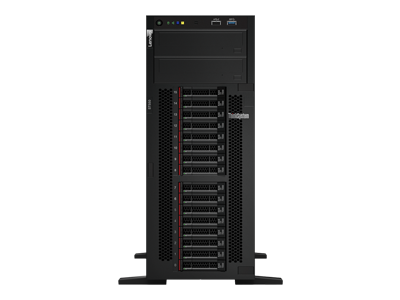 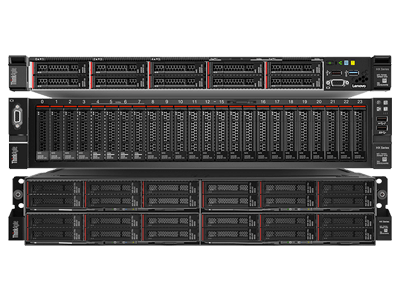 Deploy infrastructure faster and with less effort with Lenovo XClarity, an automated resource-management solution for administrators. 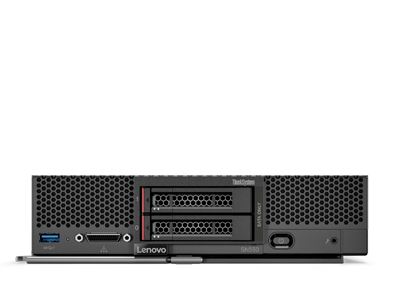 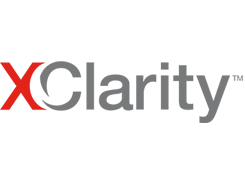 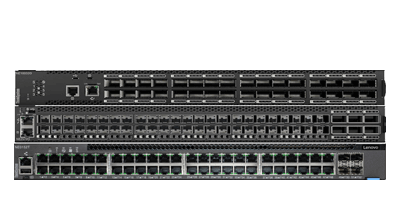 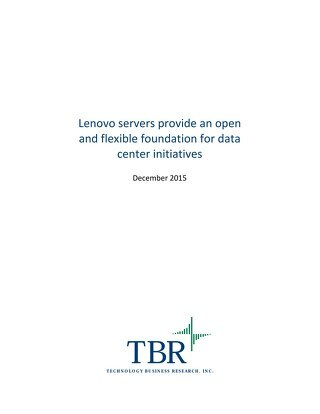 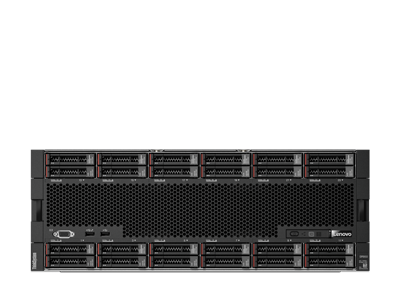 TBR believes Lenovo is well-positioned to address customers’ pain points around IT agility and complexity through portfolio investments in products such as XClarity.